Review: The Gili Islands are a chain of three small islands off the north west coast of Lombok. Each island caters for a different crowd. Gili Trawangan is the party island, bustling with beach bars, mushroom milkshakes and a constant party vibe. Gili Meno is the middle island in the three island chain and is known locally as the “romance island.” It is much quieter than Gili Trawangan and more affordable than the luxury island of Gili Air. All three contain miles of beautiful white sand beaches, turquoise clear water and beautiful sunny skies. It would be easy to make a case that the Gili Islands are amongst the most beautiful places in the world. 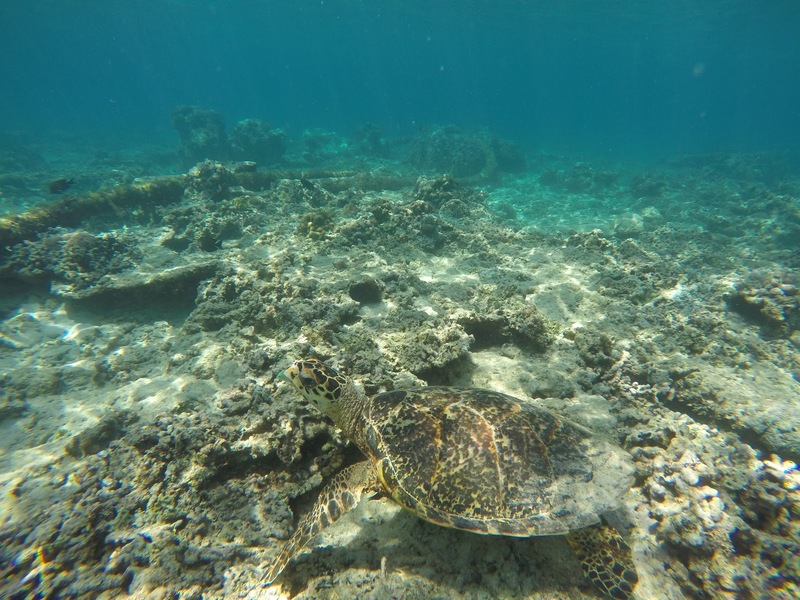 The sea around the islands are full of sea turtles, eels, fish and even small reef sharks. It truly is an amazing place. 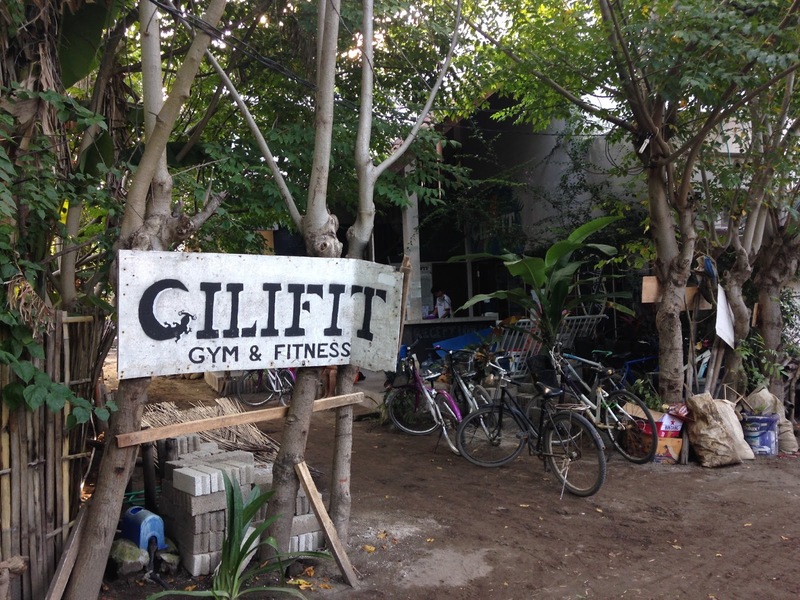 The only one of these islands with a public gym is Gili Trawangan, and that gym is called Gili Fit. 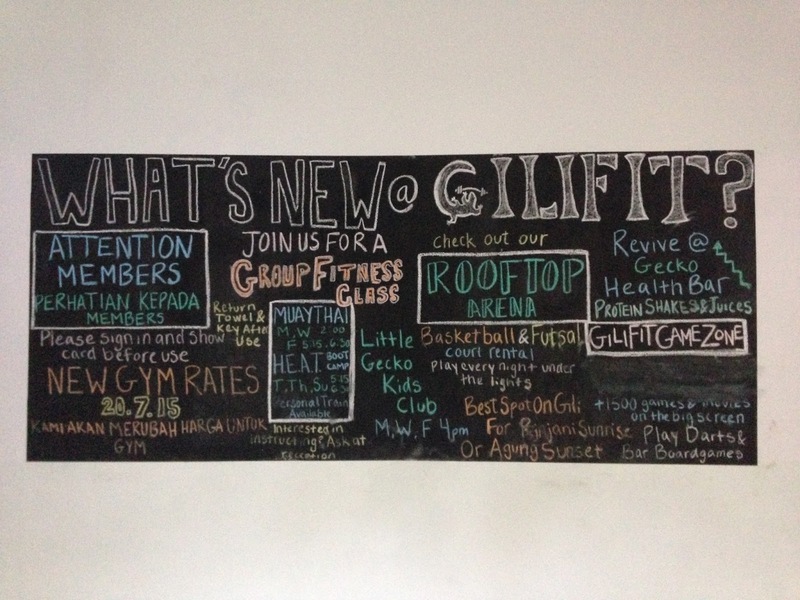 Gili Fit is an interesting concept. 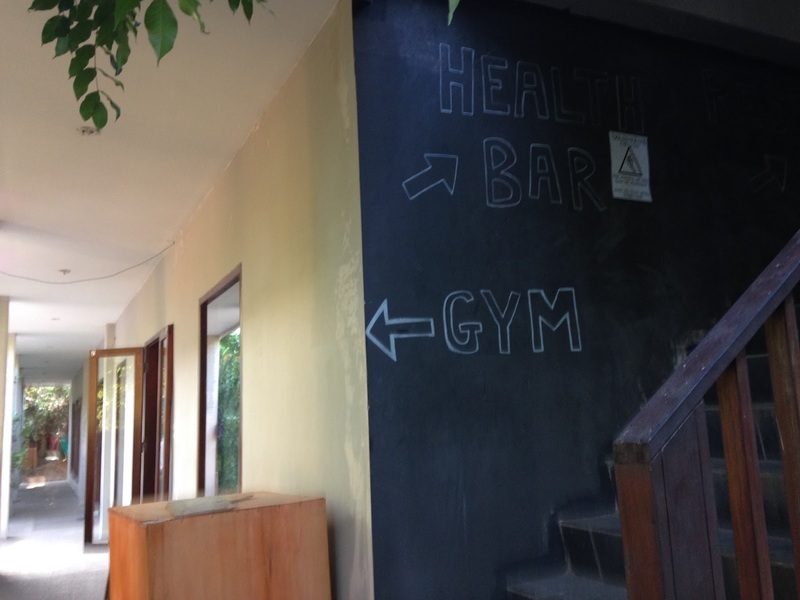 Its somewhere between a hostel, a health retreat and a gym. 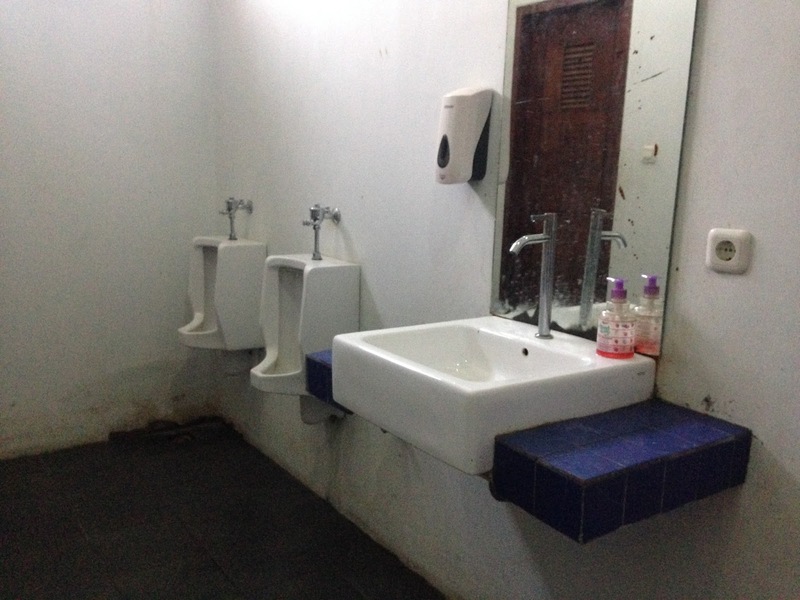 Currently, the hostel only has air conditioned dorm room, costing 125,000 IDR per night. 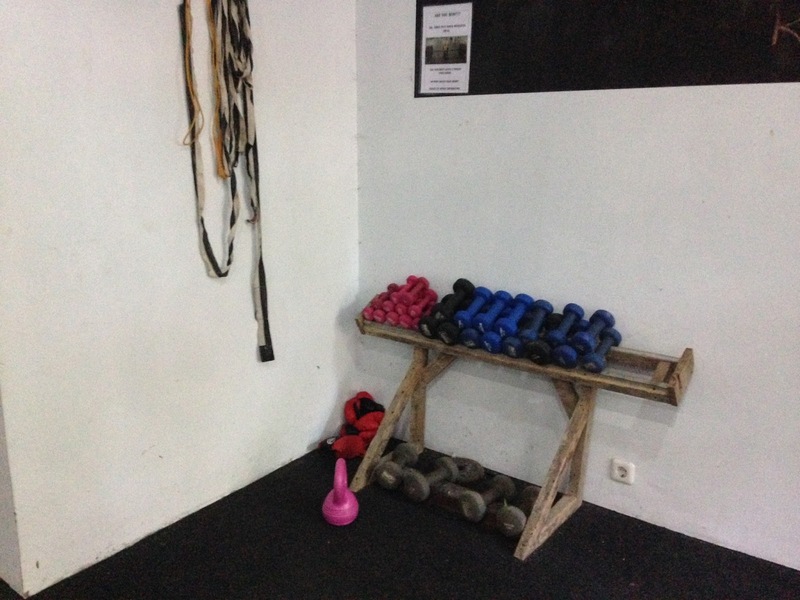 These rooms come with free use of the hostel gym, which saves you 50,000 IDR, making a dorm room only 75,000 IDR a night, which is less than £5. The hostel has a selection of board games, video games consoles, and even a private cinema for its guest to use. 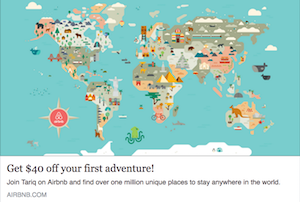 It seems like a pretty cool place to hang out, with friendly staff and a health conscious chilled out atmosphere. 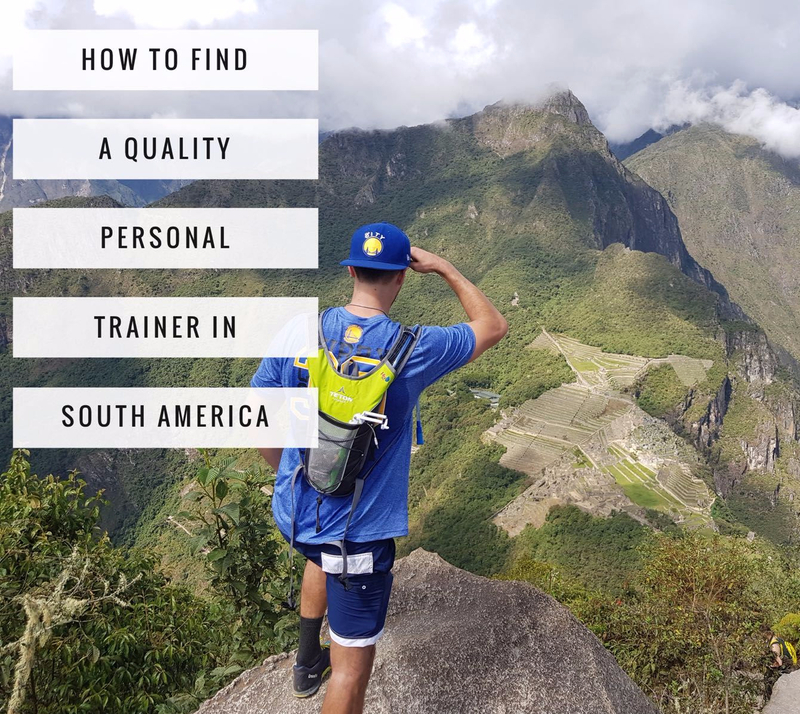 The gym itself is kind of dated and run down, but it is the only option you are going to find on these islands for a workout. 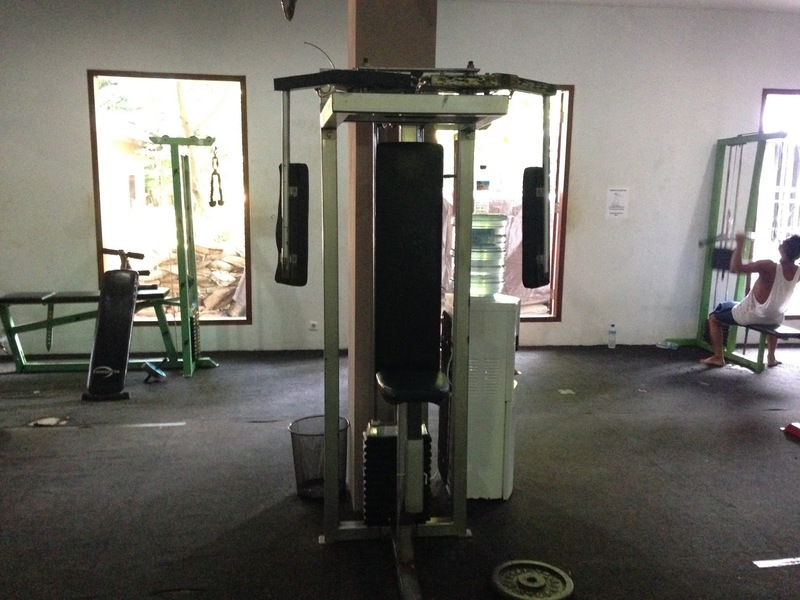 The equipment looks like the kind made the owner of Boss Gym in Java. 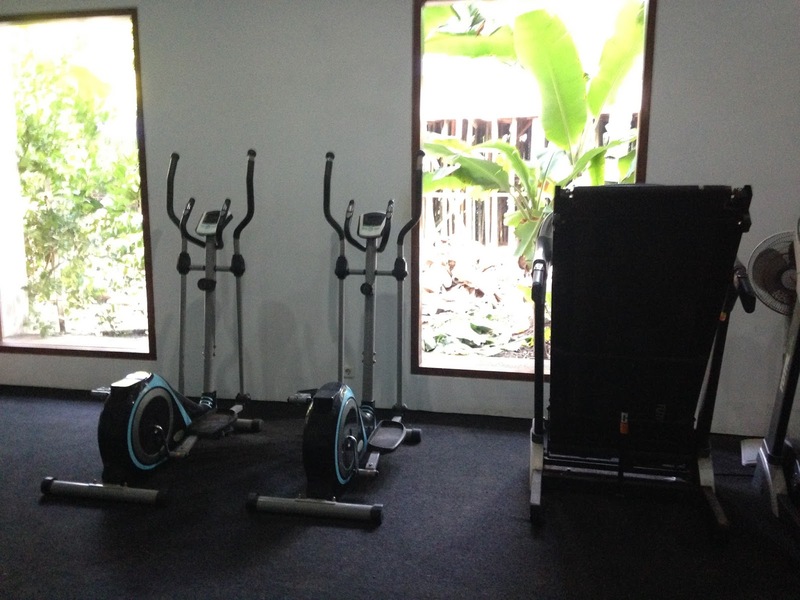 The gym is split into two main rooms, one for the cardio equipment and the other for the weights. The gym has some ceiling fans, but you still sweat buckets and the smell of stale sweat hangs heavily in the air here. 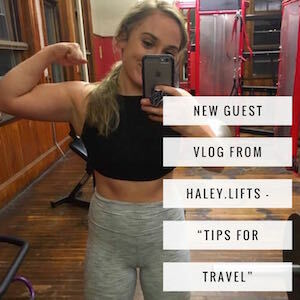 As well as the weights and cardio equipment, the gym also has lockers, showers, wifi, and a free water dispenser, so bring a bottle with you. 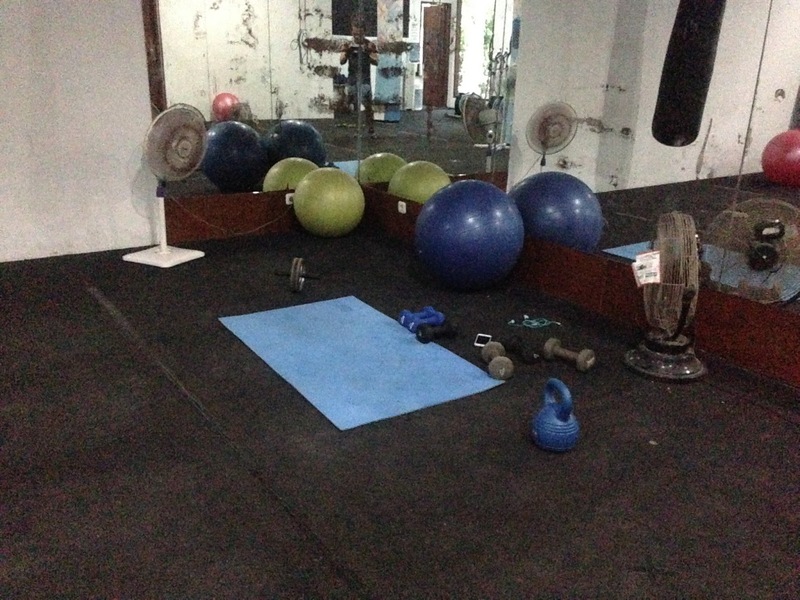 Given the available equipment, you can get a pretty decent workout in this gym. 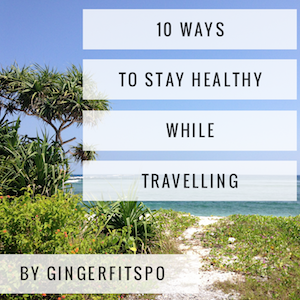 If you are heading to Gili Meno or Gili Air, it is unlikely you will access to a gym, so you might want to make this one a full body workout. 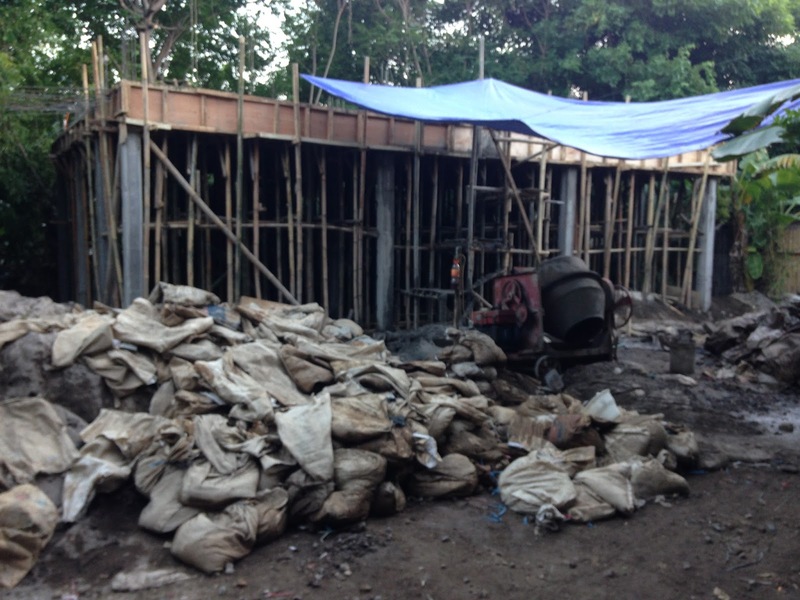 The gym and hostel has been open 2 years and they are currently undergoing an expansion project to build new double rooms and some more dorms. 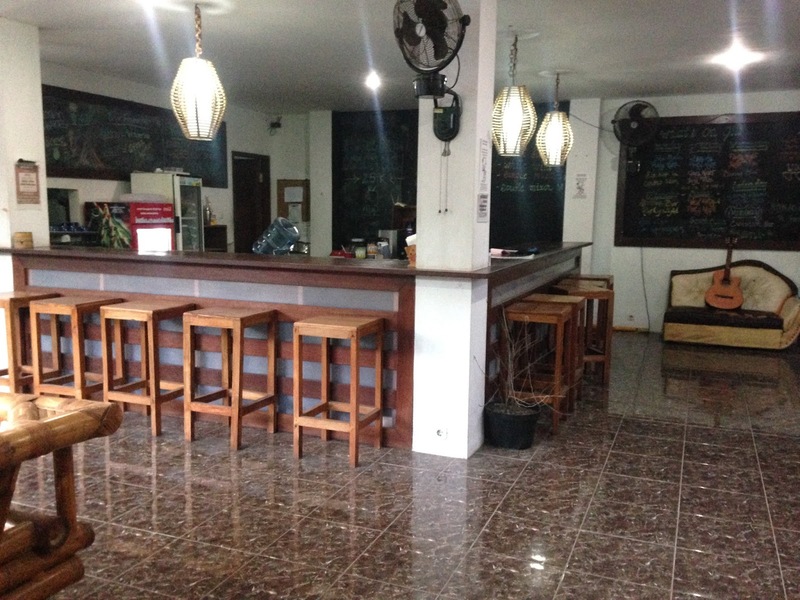 One other nice feature of this hostel is the upstairs restaurant and bar, serving healthy food and a selection of homemade protein shakes. There are a number of shakes to chose from, including additional ingredients such as peanut butter, oats, avocado or soy milk. The shakes are kind of expensive for what they at about 50,000 IDR each, are but only option on the island and they are pretty good! A standard milkshake will cost you about 40,000 IDR in some bars on the island. Who is this gym for? Erry body. 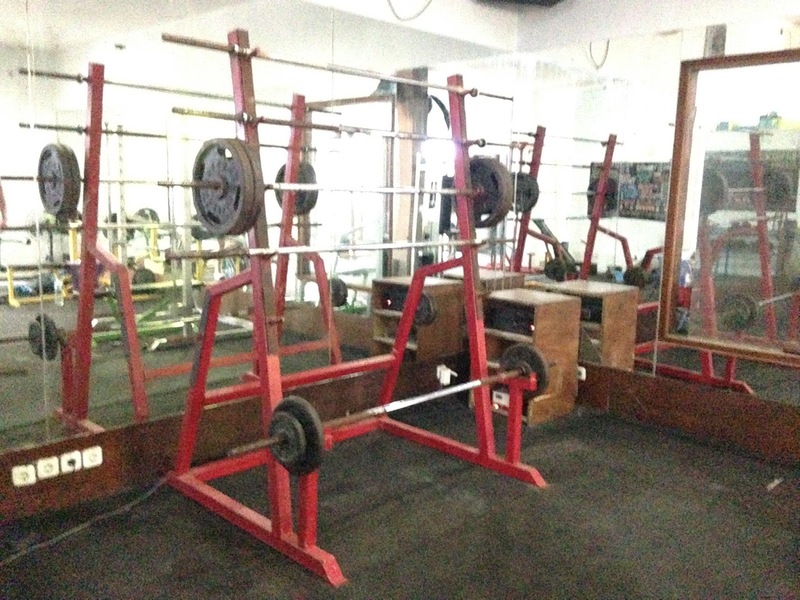 Whilst it may not be the best gym in the world, you really have no other choice. I imagine the atmosphere here must be pretty cool when its busy, and it would be nice to get to mix with other gym heads. 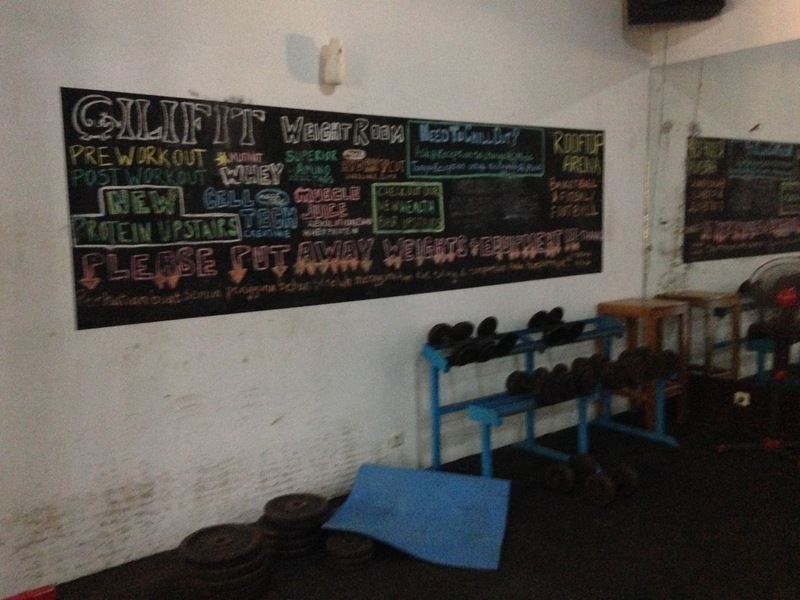 Whilst I was here, I saw guys and girls training together, so I am able to recommend this gym to both men and women. Tips: A two scoop shake is 50,000 IDR from the bar. 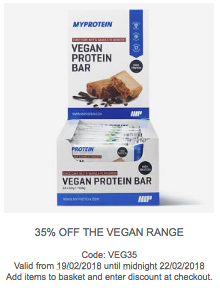 Means you can buy a scoop of protein for 25,000 IDR. Bring a container if you want to stock up. Also, sell the L-Men shakes with 10g of protein in the fridge by reception.